The boys were over the moon today as a super huge box arrived from the super lovely people at the Disney Store. They had absolutely no idea what was in the box – and still didn’t when I’d opened it. Inside were some amazing gifts from the new Black Panther movie. A new superhero for the boys to adore has come into our house! The newest Superhero film since Thor: Ragnarok [let’s not forget my epic performance at the Walt Disney Company Hallowe’en Party], Black Panther is based on the Marvel Superhero of T’Challa, an Avenger who dresses as the sacred spirit of the Black Panther to fight crime. If you saw Captain America: Civil War, you’ll have met him back then already. T’Challa [also king of Wakanda as well as Superhero Black Panther], returns home to Wakanda to take his place on the throne as the Wild King…and that’s as much as I’m giving away, especially as I only know what I’ve been told about the movie and don’t want to read too much myself before we see it! This time I’ve taken one of the gifts for me, haha. You see that Black Panther bag on the right-hand side below? It’s HUGE. 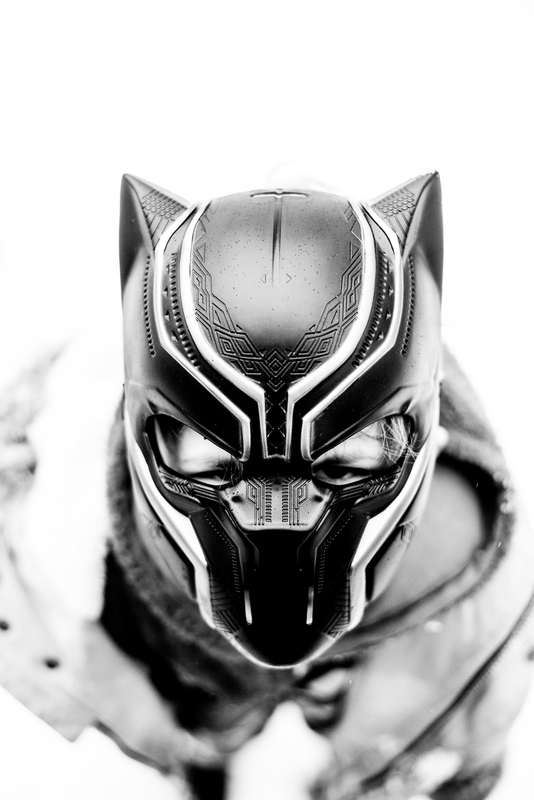 The face of the panther is moulded and flips down onto the bag to be zipped up and I love it. This past weekend I used it to carry all of my scouting gear to the Beaver sleepover. Many Beavers were coveting my bag. Haha. 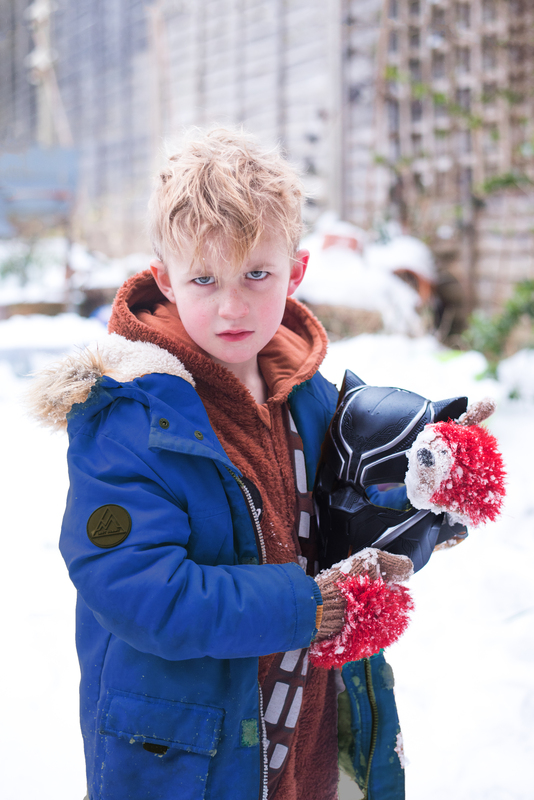 The most popular toy by far from our new collection has been the Black Panther gloves. They velcro right up the top of their little arms and are motion activated with slashing metal sounds and battle noises. There is an almighty kerfuffle going on constantly about who has had five minutes already with them. They’re quite brilliant. 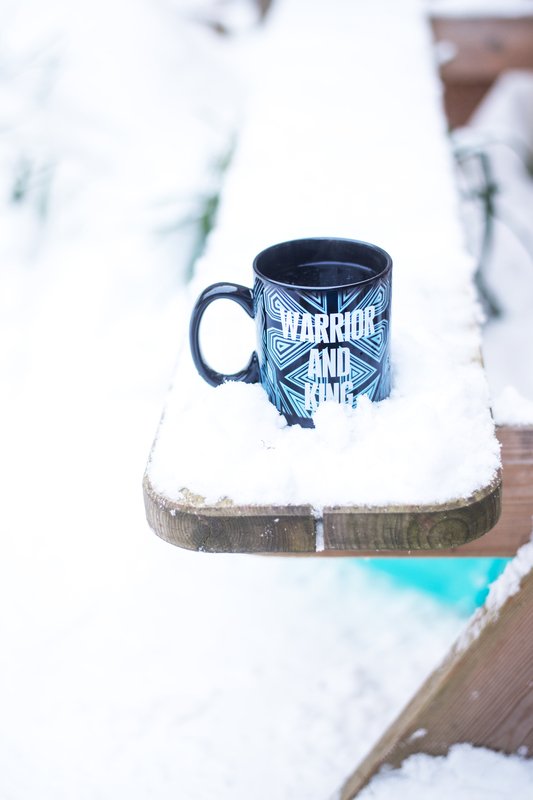 Gav has already been eyeing up the heat change Warrior mug. It’s bigger than a normal mug and pretty cool and so he’s going to have to get up early if he wants to get his coffee in that mug before I reach the kitchen for my tea. We also have the Black Panther mask which is solid and has an adjustable strap at the back and a foamy piece for resting on your nose. The toy which has kept us most occupied is the Lego set – building our first ever Rhinoceros was great fun and the Super Heroes Lego is always brilliant to make. Thank you again to the Disney Store – we’ve had so much fun as always! I loved Thor Ragnorak, it was so well done! Haven’t seen Black Panther, but it’s def on my to do list. This black panther game looks so fun! We’re going to see it tomorrow Annie! So excited – the boys had no idea it was already out so it’s been a lovely surprise – snow AND a superhero movie! oh we havent seen this yet but the boys want to go so i think next weekend we will have to make time for it! I loved Black Panther and have watched it s few times already. WOuld love to own some of these toys. Love the Black Panther costume. My son would adore it too. I heard a lot of good feedback about the movie. I can’t wait to watch it. The costumes are awesome! This looks like a fun gift to get. I’d be so excited for my kids to get such a neat surprise. Sounds like you guys had an awesome time! Happy to see that Black Panther had a positive impact on your son. Great finds at the store as well! I am still getting excited about Disney and Disney movies, even now that I’m 20. Ha ha! I love your article, i bet you had a really great time! Ooh we haven’t seen this yet either, my eldest is watching it with his friends and my youngest three aren’t interested just yet, but it sounds great! Gorgeous shots! 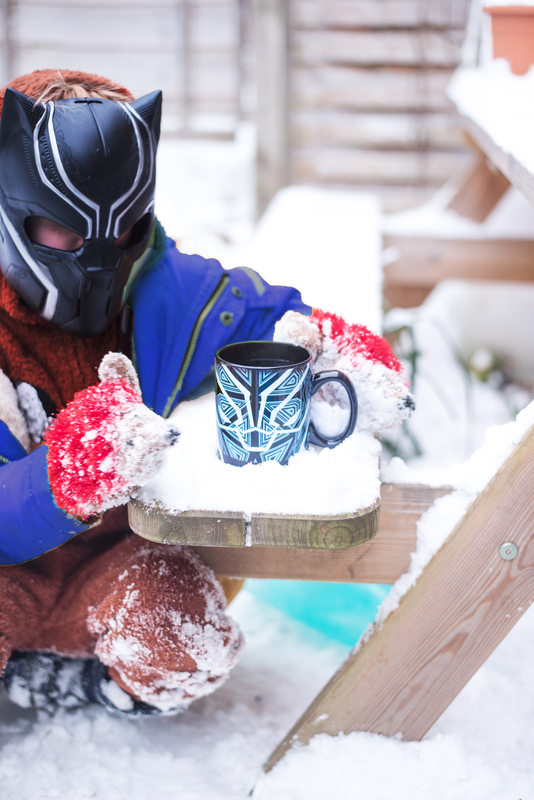 I love that Black Panther mug. It was so cool! Perfect for hot choco! We are going this weekend to watch it . Can not wait it looks brilliant! Great one. I wonder how you find that black panther.. haha 😀 keep the good work..
Can I just say how happy I am that Black Panther is such a big hit?! I just think it’s fantastic on so many levels. This movie looks so good! Can’t wait to find the time to see it! The merchandise is pretty awesome also! Great finds from the store. I love purchasing disney items 🙂 I have my eye on a beauty and the beast purse right now. We love the movie so much. My children really want some of the toys. I don’t have a Disney Store near me, but I definitely need to look online. I have been a fan of Disney for as long as I can remember! This store seems so awesome. Thanks for sharing. 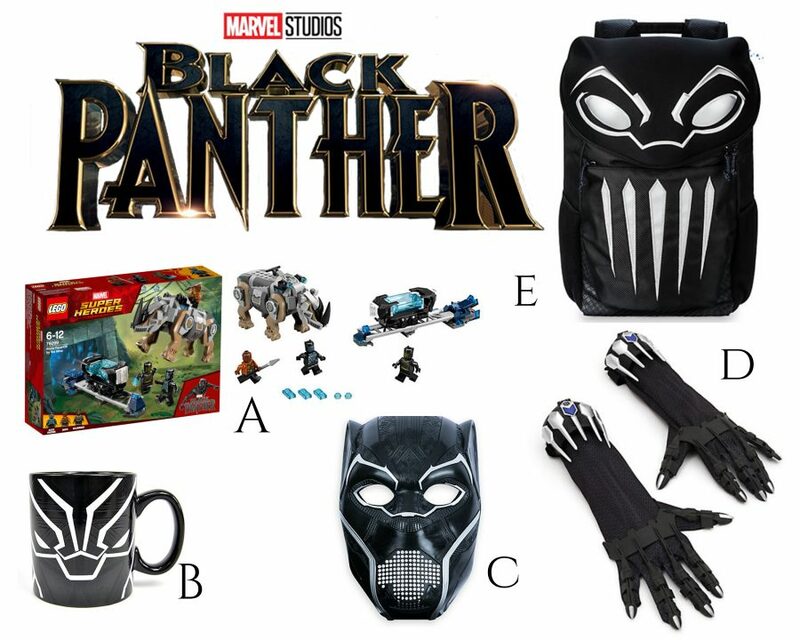 These are some pretty cool gifts if you like the Black Panther, from the Disney store. i really like the coffee mug. But I think if my daughter were to choose she would love the gloves or the mask. They are pretty cool. All of this Blank Panther merchandise is so cool! I have yet to see the movie but can not wait until I do.